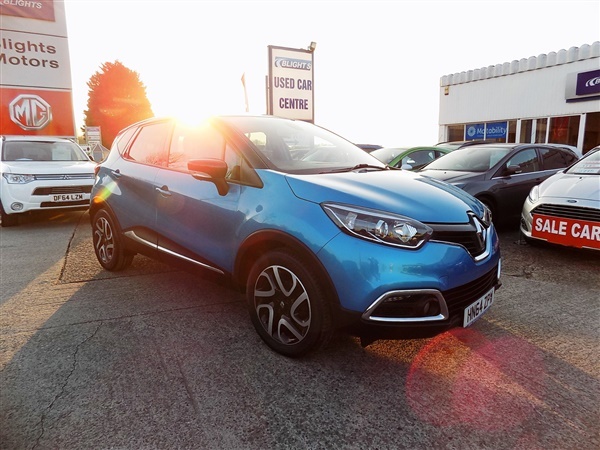 6 Month Warranty Inc,1 Owner,Air Bags,Air Conditioning,Alarm,Alloy Wheels,Bluetooth Phone Prep,Cruise Control,Electric Mirrors,Electric Windows,Front Fog Lights,Powerfold Electric Mirrors,Radio/CD,Satellite Navigation,Service History,USB Conection,Renault Capture Dynamique Navigator. A lovely two tone colour in Blue with a Black roof. 1 Owner and only 30 a year road tax.